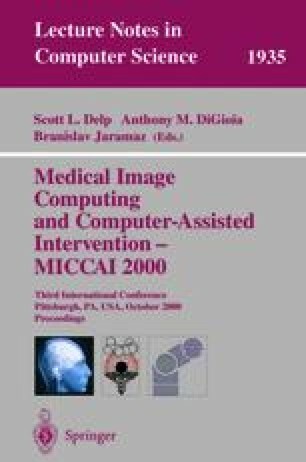 We deal with image segmentation applied to three-dimensional (3D) analysis of of vascular morphology in magnetic resonance angiography (MRA) images. The main goal of our work is to develop a fast and reliable method for stenosis quantification. The first step towards this purpose is the extraction of the vessel axis by an expansible skeleton method. Vessel boundaries are then detected in the planes locally orthogonal to the centerline using an improved active contour. Finally, area measurements based on the resulting contours allow the calculation of stenosis parameters. The expansible nature of the skeleton associated with a single point initialization of the active contour allows overcoming some limitations of traditional deformable models. As a result, the algorithm performs well even for severe stenosis and significant vessel curvatures. Experimental results are presented in 3D phantom images as well as in real images of patients.